A tram emerges from Wellington’s Hātaitai tunnel into Pirie Street in Mt Victoria on the city side. The narrow one-lane tunnel was built for trams. 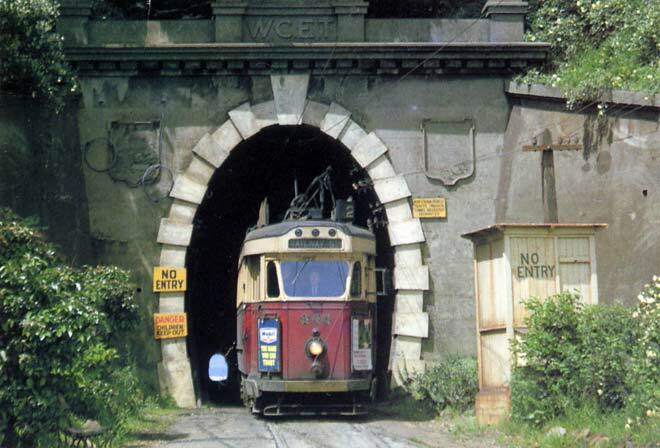 Prime Minister Richard Seddon turned the first sod in 1905, and the tunnel opened in 1907. It was converted for buses in 1963, and in the early 2000s both trolley and diesel buses used it on routes to Kilbirnie, Miramar and other south-coast communities such as Lyall Bay and Seatoun, as well as Wellington Airport.